Open your design in full in review mode. 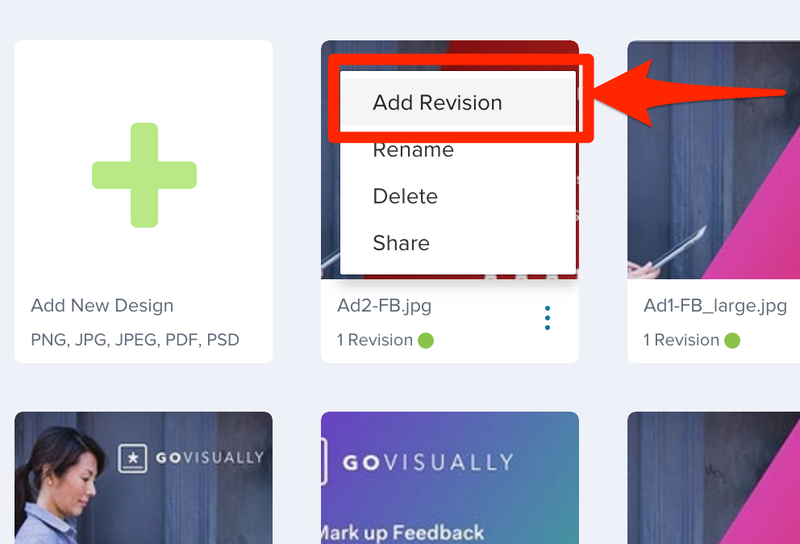 Underneath your file’s thumbnail, find the button “New Revision” and click on it to easily upload a new version of your file. Another super simple way to upload a revision is directly via the thumbnail as shown in the image below.